I was playing around with the Sweet Threads Simply Sent kit that is in the Stampin' Up! Spring Catalog. What a sweet kit it is! 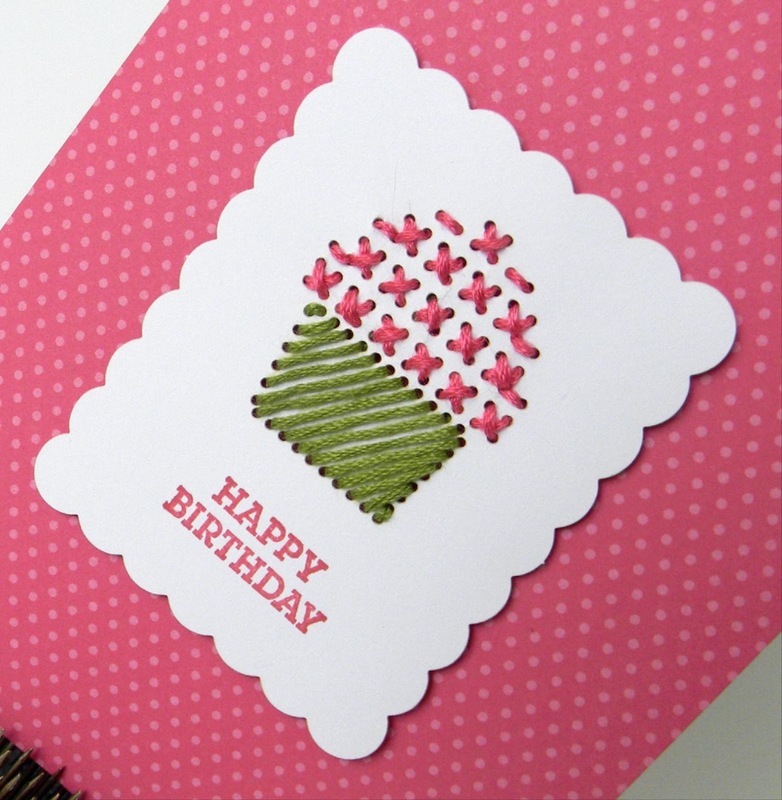 The kit contains die-cut patterned pieces with holes that you cross-stitch! 4 cupcakes and 4 tulips. How fun!! I'm a little rusty with my cross-stitching skills but I think it turned out pretty good. I sat in front of the TV and did the cross-stitching. 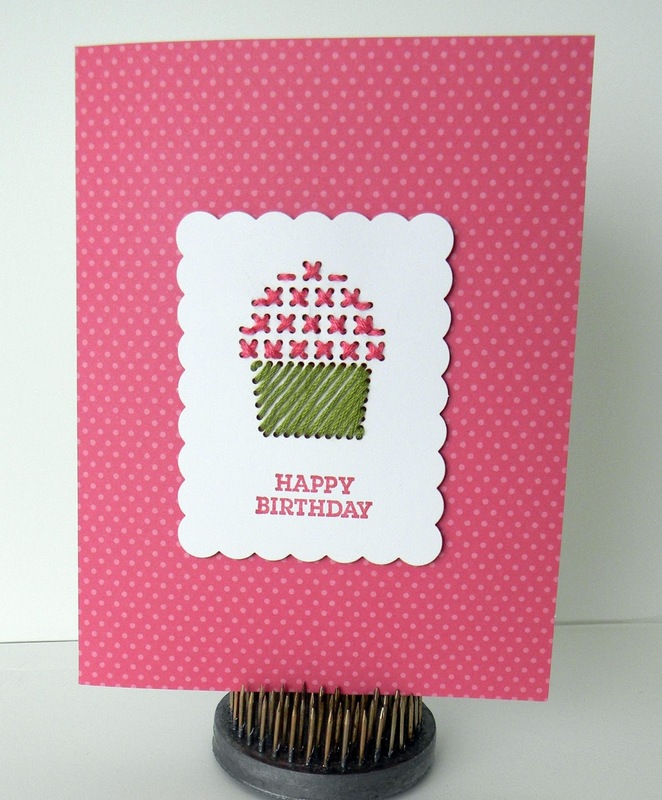 The base of the cupcake was less challenging to do : ) There are printed cards in the kit as well - adorable! I used the stamps from the Essentials stamp set for my sentiment. 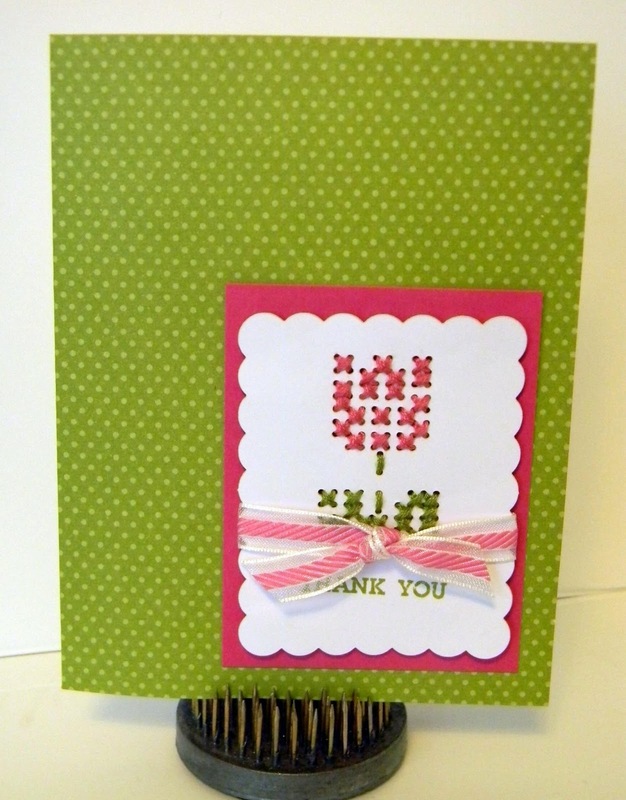 You can buy the kit as a bundle to include the stamp set and save 15%. This is the tulip and I just added ribbon and a background piece to jazz it up a bit. This would be a fun way to learn to cross-stitch or a great little kit to give to someone special. Check back tomorrow for card samples I made using pieces from the kit in a different way. Essentials Stamp Set + Sweet Threads Simply Sent = two products at 15% savings!